Tristonne Forbes is a business strategist that specialises in working with high-growth startups. 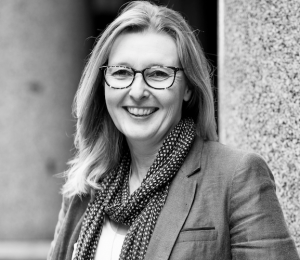 She is best known for the design and delivery of some of Australia’s most impactful accelerator programs, including ACMI Xcel, Cicada Innovations GrowLab, CSIRO’s ON Accelerate and Melbourne University TRaM Program, amongst others. In-depth startup coaching is a key feature of these programs and Tristonne has worked with over 150 tech entrepreneurs, scientists, researchers, creative industry professionals and social entrepreneurs helping them turn their ideas into businesses. Tristonne has deep experience in the startup sector. She was Partner at Pollenizer, Australia’s first tech-startup incubator, and has been part of building the female founder network in Melbourne. She is a director of Cardly, an advisory board member for MoonshotX and a huge pay-it-forward advocate within the startup ecosystem providing ad-hoc coaching for startups, speaking at events and sitting on various panels.